The new Koleos shares design cues with the Talisman sedan such as L-shaped daytime-running lights. Renault has given its latest Koleos SUV a more premium look compared with the current car. The automaker released a picture of the midsize SUV ahead of its unveiling on Monday at the Beijing auto show. The image shows Renault has adapted the upscale front-end design of the Talisman midsize sedan rather than repeat the more expressive look of the Kadjar compact SUV. The Koleos's grille is more horizontal compared with the shallow V-shape on the Kadjar. It also incorporates the Talisman's L-shaped daytime-running lights below the main headlights. The new Koleos delivers a blend of "robust SUV design cues together with the refinement and features" associated with large sedans, Renault said in a statement. The Koleos eschews a bolder design because buyers of larger SUVs are more conservative in their tastes than those who buy smaller models, Renault Chief Designer Laurens van den Acker told Automotive News Europe at the Geneva auto show in March. The new Koleos uses the same Renault-Nissan CMF-C/D platform as the Nissan Qashqai compact SUV and X-Trail midsize SUV. It will be a five-seat only, which may be a disadvantage against rivals that offer seven seats for large families. Van den Acker said it was unnecessary for the new Koleos to have seven seats like the X-trail because Renault already offer seven-seat versions of the Espace and Scenic minivans, and the Kangoo car-derived van. "I don’t think there are enough families with four kids" to justify a seven-seat Koleos, he said. The latest-generation Koleos will go on sale in China this year before arriving in Europe early next year. In Europe, the SUV will rival the Ford Edge, Hyundai Santa Fe and X-trail. 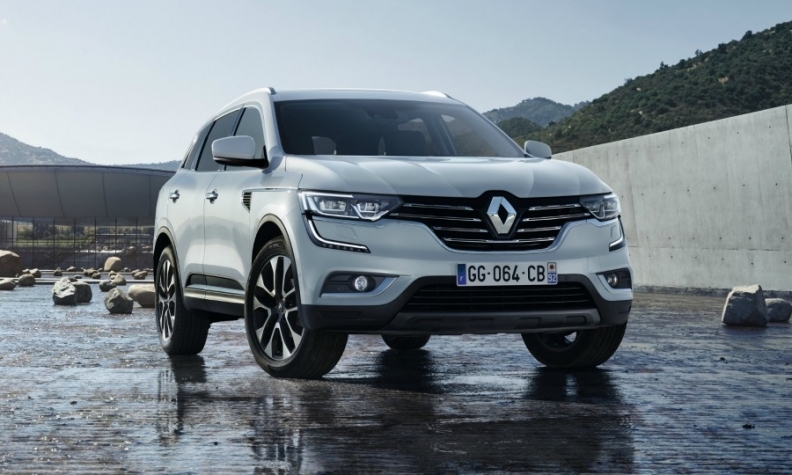 Renault will build the Koleos alongside the Kadjar at its new plant in Wuhan, central China, for the local market. The current Koleos is built by Renault Samsung in Korea. Renault has not said where it will source the Koleos for European markets.